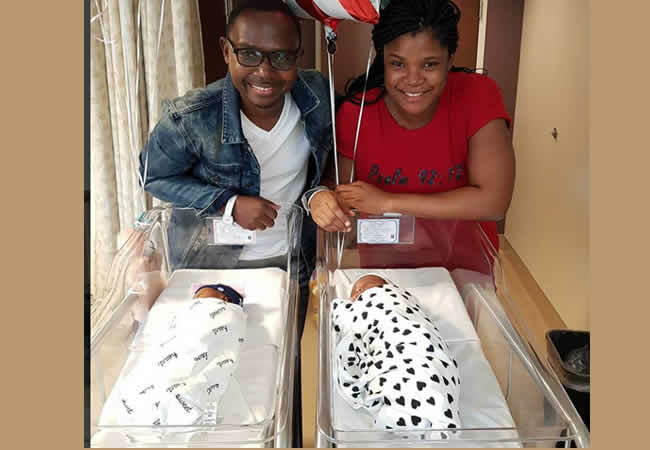 Comedian, an actor, talk show host and one of Pastor Sam Adeyemi‘s protege, Olateju Oyelakin, akaTeju Babyface, has welcomed a set of twins six years after his marriage with his wife. Oyelakin, who is the lead mentor at Teju Babyface Mentorship Academy, got married to Oluwatobiloba (nee Banjoko), an ex-beauty queen, in 2012. The News Agency of Nigeria reports that mother and babies are in good condition.